"Was There a Fight?" 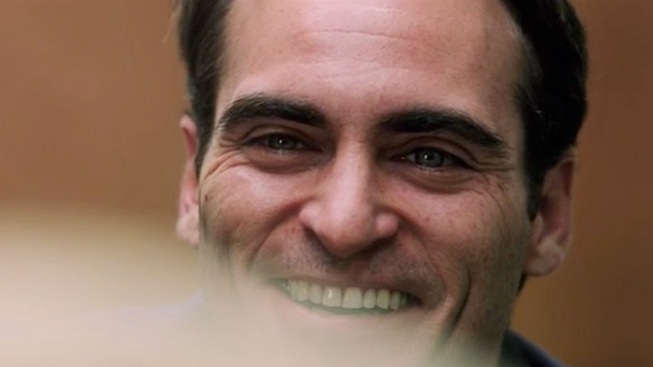 Asks Joaquin Phoenix in First Trailer for "The Master"
"The Master," from writer-director Paul Thomas Anderson, has had movie nerds nervously pacing for a couple of years now, but our long national nightmare is almost over, as the first teaser is here to help calm frayed nerves. The film stars Philip Seymour Hoffman as a cult leader (said to be based on Scientology founder L. Ron Hubbard), and Joaquin Phoenix as a drifter who becomes his protege and right-hand man as their organization begins to spread across the land. The teaser debuted very quietly over at TheMasterFilm.com (where you'll find nothing else), just hours ahead of The Weinstien Company unveiling some footage at Cannes this evening. The folks at The Playlist spotted executive producer Megan Ellison's tweet directing people to the footage.It looks awesome, and Phoenix appears to be in top form. This project appeared to be dead in the water on more than one occasion. PTA had trouble finding financing for thew film, causing speculation that Scientologists were having the project blackballed, but Ellison came in on a white horse to save the film, which is due to open Oct. 12. It took Anderson six years to crank out his first four films, but this is only his second in the past 10 years, and the first since 2007's "There Will Be Blood." Let's hope this marks a return to productivity for one our best filmmakers.